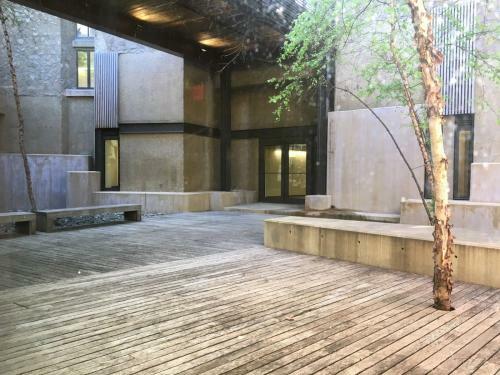 Affectionately known as the “sunken courtyard,” the Crescent Underground Courtyard is a beautiful outdoor common space. 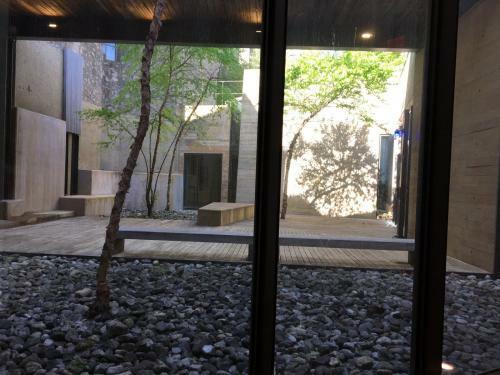 It serves to gather visitors to the nearby Theater, Weight and Exercise Rooms, Dance and Aerobics Studio, Recording Studio, Digital Media Center, and Art Studio. It is open as a common area to all students in Morse and Ezra Stiles Colleges.